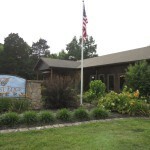 Many thanks to Sandy and Jim for their hospitality and friendly service to the group from the Women Who Write Writer’s Conference. A wine reception was planned for the speakers and attendees at the close of the meeting. 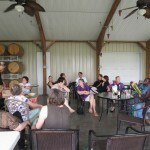 For those who attended, a glass of wine and refreshments were provided by the Women Who Write organization. Jim and Sandy Wight made everyone feel welcome. As a wine lover, I was especially pleased when Jim brought out bottles of his 3 Reds by Wight. This was a limited release and the bottles remaining are reserved for their wine club members, but Jim graciously shared this wine with those at the wine reception. If possible, the wine just keeps getting better. Everyone enjoyed themselves and many remarked to me how wonderful the wine was; I’m sure they will want to return. The Writer’s Conference was quite interesting. Many authors shared their craft with those who attended. “How to Hire and Work with an Editor”, presented by Susan E. Lindsey, owner of Savvy Communication, was especially interesting to me because I had worked with Susan as the editor of my book. Getting a chance to look at the editing process from that viewpoint gave me a lot of insights into writing. There was a keynote address to all attendees followed by twelve sessions with differing topics. The conference brought together those who have already written and those who want to write. It was a success. Everyone seemed to enjoy the day. After a day of sessions with the speakers, the writers met at Wight-Meyer Vineyard and Winery for a relaxing get-together with great Kentucky wine. 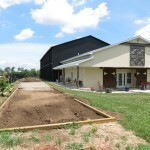 Since opening three years ago, Grimes Mill Winery has developed a devoted following. 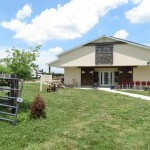 Wine lovers who visit this Fayette County winery return. True to its Italian heritage, Ca’DeSimone has created some wonderful wines and a tasting room that is impressive in style and creates a cozy, welcoming atmosphere. 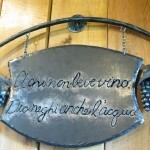 An Italian phrase that translates, “To the one that does not drink wine, God will also deny water,” is displayed on the wall, as well as on t-shirts. Visitors always ask what it means. 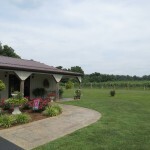 In June, my husband and I took a couple of friends to Grimes Mill Winery for their first visit. They loved it and were impressed by the ambience, the service, and the wine. They enjoyed the lighter and sweeter wines on the tasting list. The Reserve Malbec is still our favorite. As it ages, it improves. Many wine lovers will notice an aroma and finish of a dark chocolate. This is a 100% Malbec and is a full-bodied, robust wine, but is so smooth that it doesn’t overpower the senses. 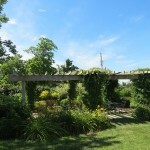 This summer, the winery is adding a bocche court, for those who would enjoy trying this popular Italian game. They are also introducing their Second Triple Crown wine, Tre Vini delle Sorelle, a blended red wine. 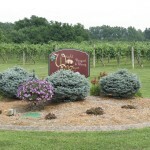 After appearing on Great Day Live, we decided to visit Smith-Berry Vineyard and Winery, at New Castle, on the drive home. As usual, a visit there is relaxing and full of good wine. We tasted only the dry reds during this stop. There were six excellent choices. We started with a Zinfandel, this vintage has deep red berry flavors, with just a taste of spices. Next, we tried Brother John, made predominately with the Syrah grape. 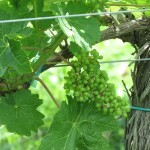 It has a deep garnet color, with aromas of plums or black cherries, and flavors of berries and plums. We also tried the John Harley, a big Zinfandel, that is named for Chuck Smith’s father. The wine has ruby colors, berry aromas, fruit and spice flavors. Both the Merlot, and the Petite Sirah we tasted are lighter reds with more fruity finishes. Our favorite was the Burley. This wine, a blend of Cabernet Sauvignon, Norton, and Munson is one of the best reds available this season. Dark garnet in color, the wine has both the aromas and flavors of plum, raspberries, and cinnamon. While we didn’t do a tasting of the Sauvignon Blanc this visit, I had tried it before and bought a couple of bottles. It is a crisp, dry white with fruity aromas and just a taste of minerals. It is a very good wine for these hot summer days. 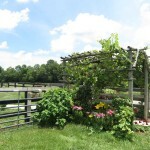 Whatever your wine choice, dry or sweet, red or white, you will find something to love at Smith-Berry Vineyard and Winery. 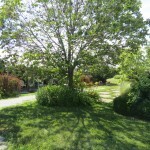 Just a short drive from I-71, it is a wonderful place to stop on a trip from Northern Kentucky to Louisville. 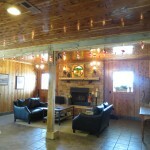 The tasting room is inviting and there are places to sit and spend a relaxing afternoon. Just a reminder to all those interested future writers, the third annual writer’s conference presented by Women Who Write, “Exploring the Writer’s Craft” will be held on Saturday, July 12th. The registration begins at 8:30 AM and the first sessions will start at 9 AM. The $60 registration fee includes lunch. Seniors, students, and members of Women Who Write will pay a $45 registration. There is a keynote speaker and 12 individual sessions. Attendees can make choices of which ones they prefer. (See my earlier post for the speakers.) 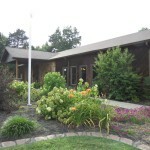 A wine reception will be held at Wight-Meyer Vineyard and Winery for those wanting to go. Authors will be selling and signing their books during the conference. My presentation will be in the afternoon and is titled “Sip, Swirl, and Write: A Guide to Writing About Wine. I hope to see you there. My first experience of appearing on a television show was very enjoyable. I was quite nervous thinking about it, but once the interview began, Laura Rogers made it easy to be comfortable. 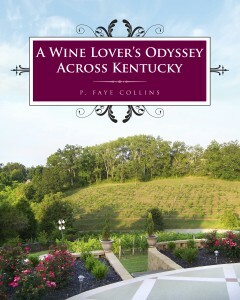 Talking about my book and Kentucky wineries on Great Day Live will hopefully be the birth of a lot of new Kentucky Wine Lovers and will also bring a lot of interested writers to Exploring the Writer’s Craft on Saturday. I am attaching a link to the site if you’d like to watch the segment. For those who watch WHAS, in Louisville, I will be talking about the writer’s conference and my book on the morning show Great Day Live, 10 AM, on Tuesday, July 8.